New York claimed Schwab engaged in fraudulent and deceptive conduct in promoting the investments. 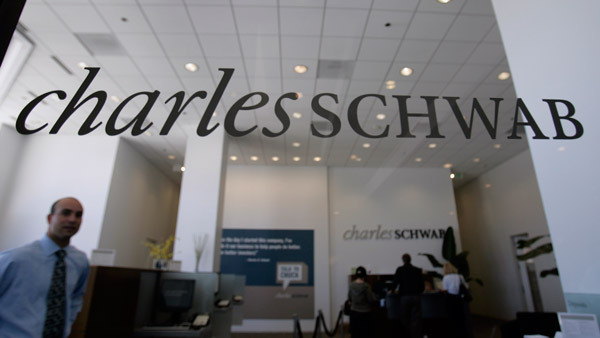 Charles Schwab Corp. and New York agreed to settle a 2009 lawsuit in which the state accused the firm of promoting auction-rate securities as safe while failing to disclose the risks before the market for them froze. New York claimed Schwab engaged in “fraudulent and deceptive conduct” in promoting the investments. Auction-rate securities are municipal bonds, corporate bonds and preferred stocks whose rates of return are periodically reset through auctions. Andrew Cuomo, then attorney general, brought the suit. The settlement was disclosed in a filing in state Supreme Court in Manhattan. No terms were provided. Schwab and New York said in a November filing that they were in talks to end the case. The $330 billion worldwide market for auction-rate securities collapsed during the 2008 credit crunch as potential buyers vanished. The crisis sparked regulatory investigations and lawsuits alleging that underwriters and brokers had falsely promoted the securities as safe, cash-like investments. Liz DeBold, a spokeswoman for current Attorney General Eric Schneiderman, confirmed the settlement and declined to comment further. Sarah Bulgatz, a spokeswoman for San Francisco-based Schwab, said in an e-mail that the company is pleased to have the matter resolved. A Manhattan judge in 2011 granted Schwab’s bid to dismiss the case after the firm said the complaint didn’t cite statements that were false when made or identify who made any misstatements. An appeals court reinstated two of four claims in 2013, saying the state presented enough evidence for a trial. The case is New York v. Schwab, 453388/2009, New York State Supreme Court, New York County (Manhattan).